Every year, before the school year begins Little Lambs host a Back-2-School Bash. 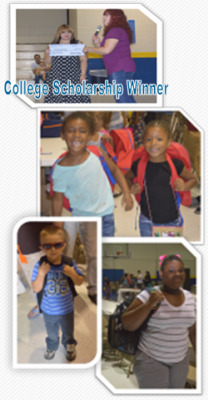 Each child receives a book sack, school supplies, and rewards for good grades. It is a time of fun with Back-2-School Bingo, door prizes, popcorn, drinks, cotton candy and face painting.